Here at Red Rock Canyon Cane Corso, we proudly feed FROMM Family Pet Food to all of our dogs. The overall health and longevity of our dogs is excellent, and we contribute much of that to the high-quality nutrition they receive from the time they are mere puppies. Take a look at why we trust Fromm for our dog food needs and you should also trust their food for your Cane Corso. 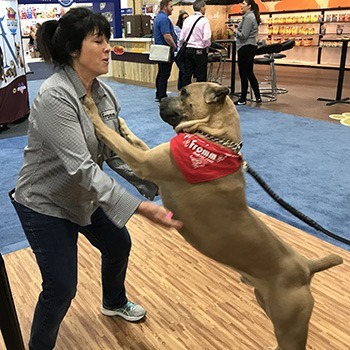 When selecting food for your Cane Corso, finding a brand you trust is important, and Fromm Family Foods has a trustworthy reputation that reaches back through five generations. The family-owned business has been in operation since the early 1900s and introduced one of the first premium pet foods made from real meat and real grain in 1949. The company prides itself on being dedicated to keeping your animals healthy through proper nutrition. Fromm dog foods are tastefully prepared with nutritive ingredients, such as chicken meal, flaxseed, and whole barley. Instead of getting kibble that has been stripped of a lot of the good stuff, Fromm gives you dog food for your Cane Corso that is perfectly formulated with the right balance of nutrients. For example, Adult Gold Fromm dog food is 25 percent crude protein and with Four Star Nutritional formulas the crude protein is as high as 30%. This formulation keeps your Corso’s short coat shining with noticeable health. The average lifespan of a Cane Corso overall is around nine years, but your dog may live much longer if it receives the proper nutrition throughout its life. Feeding Fromm kibble to your dog every day ensures he gets the best balance of nutrients to support his health. The foods contain no artificial filler ingredients or preservatives; only real food ingredients with real valuable nutrients and vitamins that support the immune system. With good food, you won’t have to worry about your dog getting life-threatening illnesses as often. Fromm has multiple products to choose from for many different dog breeds, and they have large-breed formulations fitting for Cane Corsos. 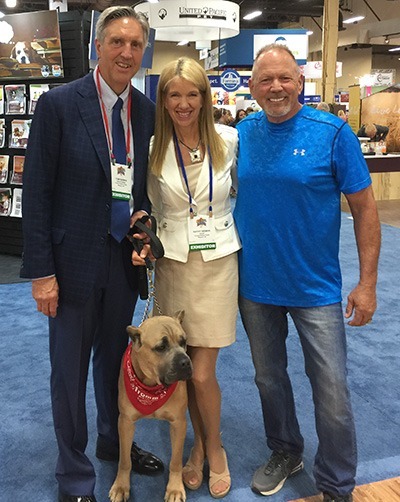 Because the food you will be feeding your dog contains what it needs, you will immediately see a difference in your Corso’s endurance and energy during training or exercise. Your pet won’t tire out as quickly and will stay motivated to continue through longer training or exercise periods without stopping. As an added bonus, your beloved dog will be more alert because they feel better overall, which means they will serve you better when they are on guard or has a task or duty to perform.. The Cane Corso has an overall muscle mass that is far greater than a lot of other dog breeds, but that muscular build can only grow to its full strength if your dog is getting the right nutrition and exercise. Fromm dog food is created with an array of different protein sources, from chicken and beef to fish, so it contains an impressive amount of crude protein, crude fat, and crude fiber. This balance ensures your Cane Corso builds lean muscle mass over time to support the strength and agility the breed is known to have. A healthy weight for a Cane Corso is anywhere between 90 to 120 lbs for females and males range from 100 to 140+ lbs. pounds. The solid mass-muscle build of the Corso makes the breed much more heavyweight, and they do have a big, voracious appetite. If you’re not giving your dog premium nutrition in their kibble, they will want to eat more because they constantly feel unsatisfied, and they will gain a lot of body fat because of it. We consistently have top award winners with several Dog Of The Year titles and we are among the Invitees to the Westminster Kennel Club. Additionally, our dogs have been on televised events on numerous occasions and have had many other accomplishments. We owe a lot of the success of our Cane Corsos to the nutrition they get from Fromm pet food. The food is highly trusted among us and other champion breeders because the ingredients are reliable, healthy, and perfectly formulated for the health of the animal. There are ample reasons to feed your Cane Corso Fromm food. One look at our champion Corsos and it is easy to see they have been well-sustained with good food from the start. Fromm offers a full line of dog food products to choose from, from puppy kibble to adult dog food. You can pick the food your dog needs according to the recipe, breed size, protein, or life stage. Fromm food is a complete balanced nutrition ideal for the Cane Corso!